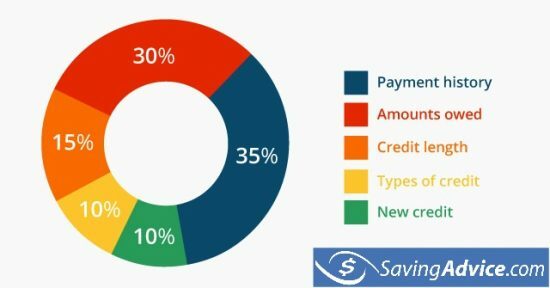 What is the Starting Credit Score? Building your credit and having a good credit score is paramount for your financial life. For example, if you are looking for funds to invest, launch a business, buy a house or simply borrow money for a project, the interest rate you will get on your new debt will vary a great deal depending on your credit score. If your credit score isn’t good, you will end up paying hundred, maybe even thousands of dollars more. Another common problem when it comes to credit is establishing credit. Do you start out with a score of zero? 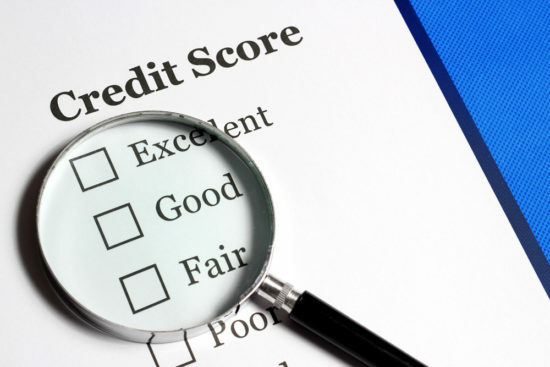 What is the starting credit score? Let’s have a look at how credit scores start and how you can build your credit in order to get a higher credit score. A credit score compiles your credit history, and as such, you need a credit history to have a credit score. Once you get your first credit card, or personal loan in your name, a credit report gets created. It takes over six months for that to happen. That means you don’t get a starting credit score of 0 when you turn 18, and then build it up. It is not until you start using credit that you start building your credit history, and a credit score can be calculated. Until then, a search for your consumer report will return a “no record found” since there is no data available. The starting credit score is no credit score. It is very important that as soon as you do get credit, you do everything right to get a high credit score. The first bank or financial institution that will agree to lend you money will be taking a risk. Since you have no starting credit score, they have no way of knowing how likely you are to repay the money you are asking to borrow. It is customary for them to ask for someone to co-sign the loan, usually a parent or another family member. Now that you have got your first loan, you have to be worthy of the trust granted to you by the bank. When you are approved for your first loan or credit card, your lender gives you a line of credit, that gets registered with credit reporting agencies. However, you still don’t have a credit score. Since you have not even made your first payment, the agency has no way of knowing how you will behave. How much is the starting credit score? Your starting credit score will not be zero, because the agency has enough data after six months to report on your credit behavior. Credit scores start around 300 anyway, and go up to 850. A credit score of 300 is disastrous, but unlikely to happen to you in six short months. The same way it would be too early to grant you a credit score in the 800s, that would be near perfect. You should be somewhere in between. Part of your credit score is based on how long of a track record the agency has, so that will affect you negatively at first. But as you keep making payments on time every month, you should have your starting credit score increase by a few points with each payment. How do you increase your starting credit score? Like I just mentioned, one way to increase your starting credit score is simply to be patient, and give it time. The longer your track record, the better. Assuming you make at least the minimum payment on your debt, of course! Keep your balances low. If you get a credit card with a $1,000 limit, try to keep your balance under $300. Or even better, pay your card in full each month. Don’t open a lot of accounts too fast. Use just what you need. Never miss a payment. That goes without saying. But if you do call your company, make the payment, and ask they remove the late payment warning that would affect your credit score. The easiest way to forget about it is to set an automatic bill payment every month for your credit card balance. Get the best rate you can on a credit card. Having high interest debt increases your risk of not being able to repay what you owe. Keep a line of credit open. Instead of closing a credit card because you’d rather use debit, keep it and make a small charge on it each month, that you pay in full. That will help show a good credit history a few years from now when you want to buy a house or get a student loan for college. Your starting credit score is very important because as a young adult, you are likely to need more money soon. Once you have a mortgage and a couple of credit cards, you can relax about your credit score, since your borrowing needs are covered. However, if you get a good start, you will get the lowest interest rates on your debt, which will in turn help you start your adult life on the right foot. So don’t mess with your starting credit score! There are no words to describe the absolute panic someone has when they realize their credit has taken a turn for the worse. Credit scores can keep you from buying a car, renting certain apartments, buying a home and even getting a job. If you’ve run into a problem with your credit score you’re probably looking for an immediate fix. Sorry to be the Debby Downer but there’s no overnight fix for your credit. MyFico.com suggests that you should think of your credit like your weight. Losing weight isn’t easy. It takes time, just like repairing your credit will take time. Check your credit score and report. If you want to know how to raise your credit score by 200 points you’ll need to know what your score is now (and what it means). You’ll also need to see a full credit report to know what steps you need to take to improve it. See the range of credit scores in the chart below. Reduce your debts. The most obvious piece of advice on how to raise your credit score by 200 points is to reduce your debt. If you have a lot of debt your credit score will remain low. Research secured credit cards. According to Good Financial Cents, a secured credit card is a great way to raise your credit score. A secured credit card is a credit card that you provide cash down payment for. You then use and pay off that credit card over time. Eventually, the credit card company you opened the card with will give you a higher credit line. Put down a cash payment you can afford and use the card sparingly. Make sure that the cash you put down for the secured card is money you can afford not to have in your pocket. Think of it as an emergency savings account that you’ll only use if you can put the money right back. Make payments in full. Once you have a secured credit card (or any line of credit) pay it off in full when you can. This will help you increase your credit score as well. Pay your bills on time. As mentioned above paying your bills on time is important for raising your credit score. It is also important for maintaining a credit score. If you are behind on bills, get up-to-date and stay there. Being behind on your bills will hurt your credit score greatly. Get caught up and make sure you stay there. Keep balances low on credit cards. Any lines of credit you have should have no balance or a low balance. Your credit score stays high when your available line of credit remains open. Don’t close unused accounts. If you have any line of credit you don’t use very often, don’t close it! Closing accounts can actually hurt your credit in the long run. Establish new credit history. Once you’ve been able to raise your credit score you’ll want to begin to establish a new credit history. Open new credit card accounts or get a department store charge card. Having more available lines of credit will help your credit score. Don’t open unnecessary accounts. Even though you should open a new account to establish new credit history you shouldn’t open any account you find. Opening too many new accounts, however, can hurt your score. Have you raised your credit score a significant amount? We’d love to hear your story. Contact us here.